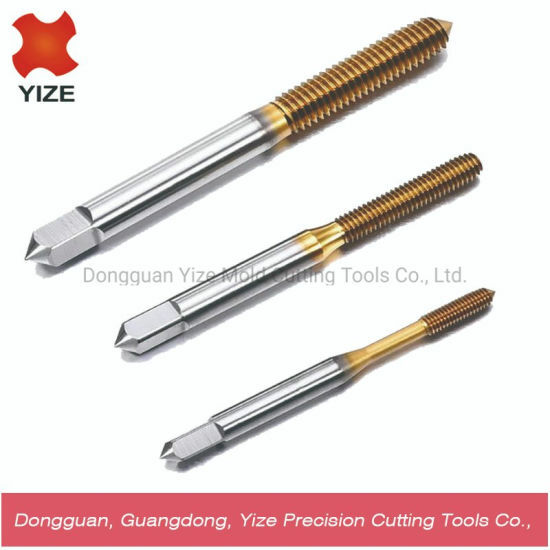 Dongguan Yize Mold Cutting Tools Co., Ltd. Cutting Taps, Extruded Tap, Fluted Taps manufacturer / supplier in China, offering Titanium Plated Extrusion Cutting Tap, for Nut Tapping Machine Carbide Drill / Thread Forming Tap, High Quality HSS DIN371 Machine Thered Taps and Hand Screw Tap and so on. processing time of chips can be omitted. the wire tapping life is long, and there is no interference of cutting, so it is not easy to be broken. cut without cutting. The thread strength is increased by 30% and the stability is stable. and non-ferrous metal tapping operations. 2> Laser brand and demensions on the body of cutters, print labels. 3> 2pcs or 10pcs each group, packed in small paper box. 4> Sealed with air bubble wrap, pack into bigger carton. 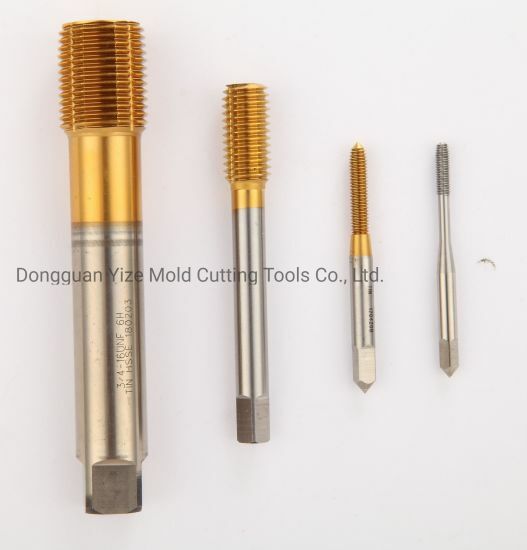 Tool models End mill, Drill Bits, Reamers, Boring cutters, Taps, Saw Blades, Welding Tools, Customized Cutting Tools, etc. Coating TIN, TiALN, AlTiN, TiAIN, etc. Processing material Alloy steel, titanium alloy, nickel base alloy, steel, stainless steel, quenched and tempered hardened steel, non-ferrous metals, etc. Application Automotive, aviation, aerospace enterprise, motorcycle engine, diesel engine, carburetor, compressor, mold industry, etc. 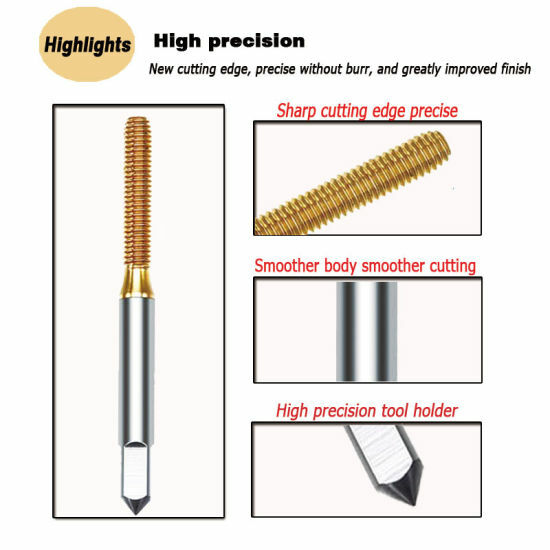 A:We are factory specialized in threading tool and carbide cutting tools. Q:Can we use our own logo or design? A: Normally,Our MOQ is 20PCS per Model. However, we have standard products in stock, small order also welcome. A:We are willing to offer you samples for testing after received the sample cost. Q:Do you accept customized orders? A:Sure, we are professional manufacturer, customized orders are what we good at. 1. We have our own factory ,we can control the high quality strictly. 2. Advanced equipments for manufacturing and testing . 3. Non-standard can be customized according to customer's requirements.